After the mortgage crash of 10 years ago, stated income loans disappeared. These were loans where the lender did not verify income; they simply took borrowers at their word that they had the income that they stated. To some degree, the old stated-income mortgages were part of the reason for millions of foreclosures that threatened the entire global economy. As the housing market has come roaring back with the economy, many banks, lenders and mortgage brokers reintroduced the stated income refinance mortgage for qualified homeowners that posed less of a risk than borrowers a decade ago. Refinancing with little or no documentation is possible once again with stated-income refinance loan programs that make it easier for qualified homeowners to improve their mortgage. In 2018, stated-income refinance loans have made somewhat of a comeback. Today’s stated-income refinance mortgages are not the same as the ones from more than 10 years ago; there are now stricter rules that dictate what features these types of loans can have. Loans that meet the new guidelines are called ‘qualified mortgages.’ Any stated-income mortgage loan that does not meet these guidelines is called a non-qualified mortgage. The stated income refinance mortgage programs available today still do require you to prove your income. After the financial downturn, the US government passed new regulations requiring lenders to verify income. This is normally accomplished with pay stubs, W-2s and tax returns. But some people who work for themselves may not have these documents. That is where the new stated income refinance loans are useful. Today, you will still need to prove your income, but you may not need to provide tax returns. The most common way to prove income for the self-employed person is to present 12 to 24 months of tax returns. These loans may be referred to by lenders as bank statement loans, or alternative income verification loans. So, you are not really just stating your income with these loans; you are simply providing alternate proof of your income. If you are interested in a stated income refinance loan in 2018 and beyond, you can expect you will need at least a 620-credit score. Stated income loans represent a higher risk to the lender so credit score requirements may be much higher than this minimum number. Also, you will probably have to have more money down to get this type of loan. There are loans available through conventional means and FHA that require only 3% to 5% down, but with the higher risk level, expect to need to come up with at least 10% down and maybe more. 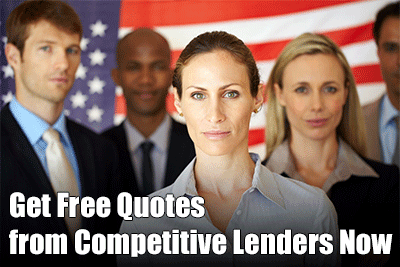 Are you looking for a no-documentation loan to reduce your current interest rate or get cash out? Some lenders may require you to have several months of cash reserves to qualify for a stated income refinance loan. They want to be sure that you have the money to pay the loan for at least three to six months before lending you money. But this will depend upon the lender. SIVA: This is called a stated income/verified asset loan. This ‘stated income mortgage’ allows you to state the income you earn gross each month, but it requires you to verify the assets you state by giving out your bank statements or investment statements. This is a very popular option for homeowners seeking a stated-income refinance mortgage. SISA: This is a stated income/stated asset loan. You can state your gross monthly income and your assets. If you can find this type of loan, you will need to have a lot more money down, higher credit score and plenty of cash reserves. When you qualify for a stated income loan with bank statements, the lender will ask you for one to two years of bank statements. It will calculate your monthly income by reviewing your deposit history during that period. It will arrive at an average over that period of time to come up with the income that it will use to qualify you for a loan. Some people who want stated income loans are actually not looking for a home to live in themselves. This stated loan is intended for an investment property. It is common for self-employed borrowers who want to buy investment properties to use stated income loans to qualify. Another situation where you may want to use a stated income loan is if you have a lot of money in the bank, but you do not have a regular income. People who do not have stable, regular income are harder to qualify with conventional loan products. The stated income loan can be a good choice. The bottom line on these stated-loans is they are harder to come by, and you will probably need to somehow prove to the lender that you can pay the loan, whether that is with bank statements, investment account statements or some other type of asset verification.